Well, whenever you want to buy a property in Cornwall (or anywhere in the UK for that matter), you need to assess the value and condition of the property first. Why do you need a chartered surveyor at all? It is a specialized task which can be accomplished by a chartered surveyor only. He belongs to a body that gives license to work as a professional. Such accredited surveyor has the power of declaring a property fit or unfit based on the predefined criteria. Amongst surveyors also different people specialize in different areas. A rural surveyor knows how to evaluate farms and agriculture land. An urban surveyor can evaluate residential properties. Big money is involved when you buy a second home in Cornwall. Hence, it is essential to check the property thoroughly beforehand. With his professional skills and expertise, a surveyor can tell you about the structural deformities, dampness and water seepage, cracks and repairs, sagging walls or roof. It is especially important when you are purchasing an old property. What specialization would you check for while hiring a surveyor? 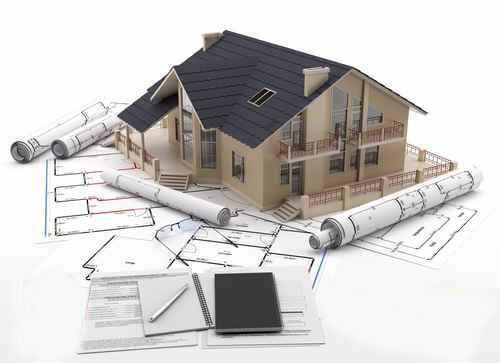 They know how to assess the value of new construction or renovation. After inspecting the property, they give a comprehensive report. The report includes important things like the current condition of the building, defects and their diagnosis, and advice for repair and maintenance. They know the methods of assessing farms and farmhouses, land, etc. They help in getting legal clearance. Since the norms about environment protection are quite stringent, it is vital to consult an environmental surveyor who can tell you about the emission impact, pollution levels, and contaminations. Is it just a formality to call a surveyor? No, it isn’t. It is an essential aspect of buying a property in Cornwall. It is not a good idea to engage in property dealing without knowing anything about it. Sometimes, valuation surveyors are mandatorily required to get the mortgage done. Before approving the mortgage loan, banks or financial institutions like to get the assessment of the property. For this, they need authorized surveyors only. Who is the ideal surveyor? If you hire a person who has an authorized and recognized degree and he has relevant experience of a few years, then you have hired the right person. You can call a surveyor directly or browse the Internet to search the top-rated firms in Cornwall. If you have some links in the local property market, then you may explore to get the right person. Don’t underestimate the role of surveyors. You are paying a considerable amount in property investment. Since you are new to the place, it is always better to check the property to minimize the risk. With their proficiency and professional commitment, you get confidence about the property. It is the reason; you must give a call to the top surveyor in Cornwall. « We go further – As standard.